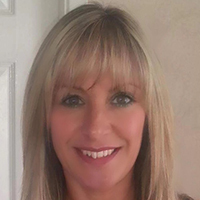 Pam has been at Newton Fallowell Syston since it opened and was previously manager for another agent in the town, so she knows Syston like the back of her hand and has been in the estate agency business since 2001. Outside work she is an adrenaline junkie who recently sold her KTM motocross bike and bought a quad bike. She loves drifting cars and playing the drums, going to motor shows, fishing, cycling and getting pampered at health spas. Before becoming an estate agent, she worked in a famous health spa and her claim to fame is that she gave facials and massages to many Hollyoaks soap stars.